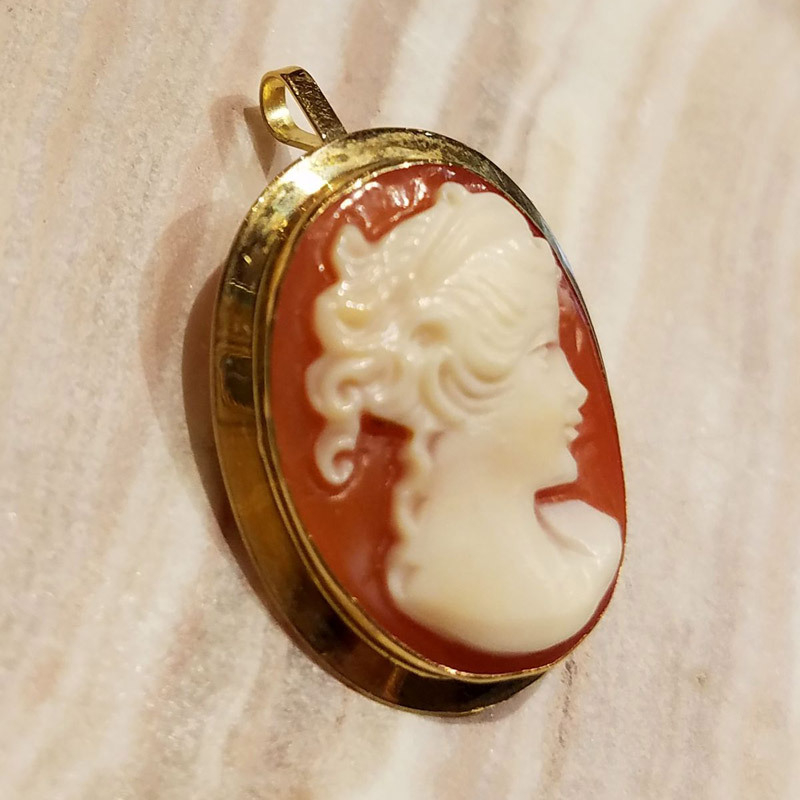 Vintage 18K yellow gold Cameo Brooch/Pendant. 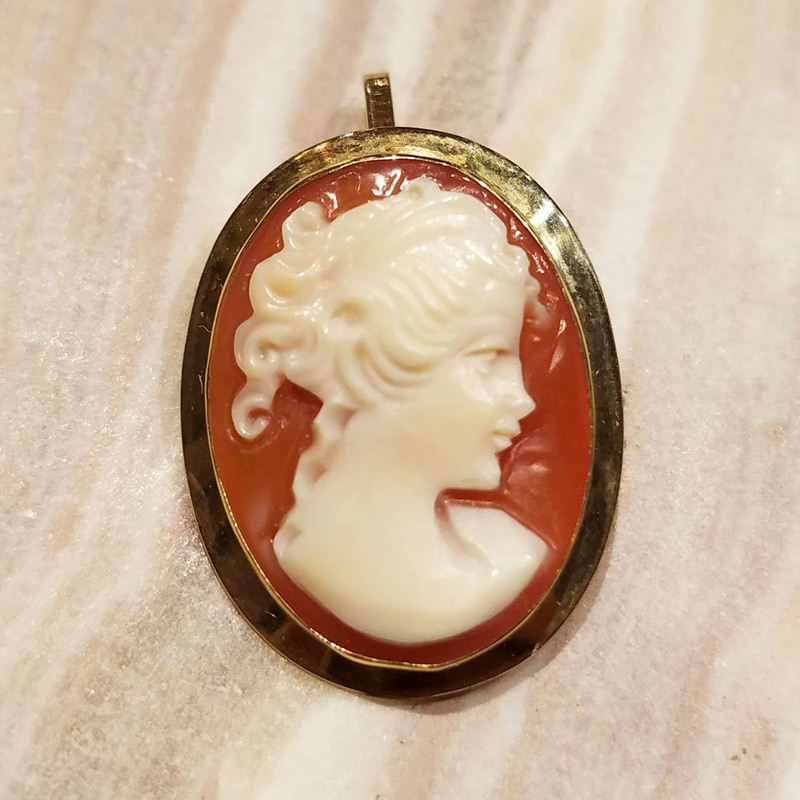 Beautiful carved cameo features delicately carved lady with curls. 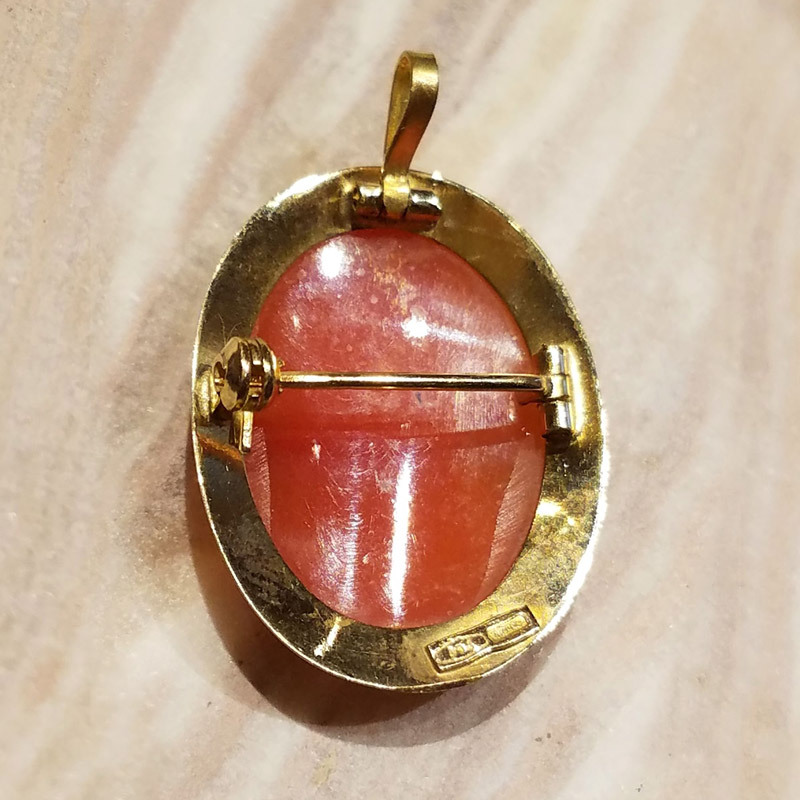 The cameo is framed in a beautiful 18k yellow gold bezel. This piece can be worn as a pin or as a pendant. The pendant measures: 23mm x 18mm. The pendant weighs: 2.7 grams. The pendant is stamped 750, acid tests 18k. There is Hallmark with 302 on it.